Hai there……again hehe If only I could sleep…………..but hey I am getting caught up slowly so all is good! 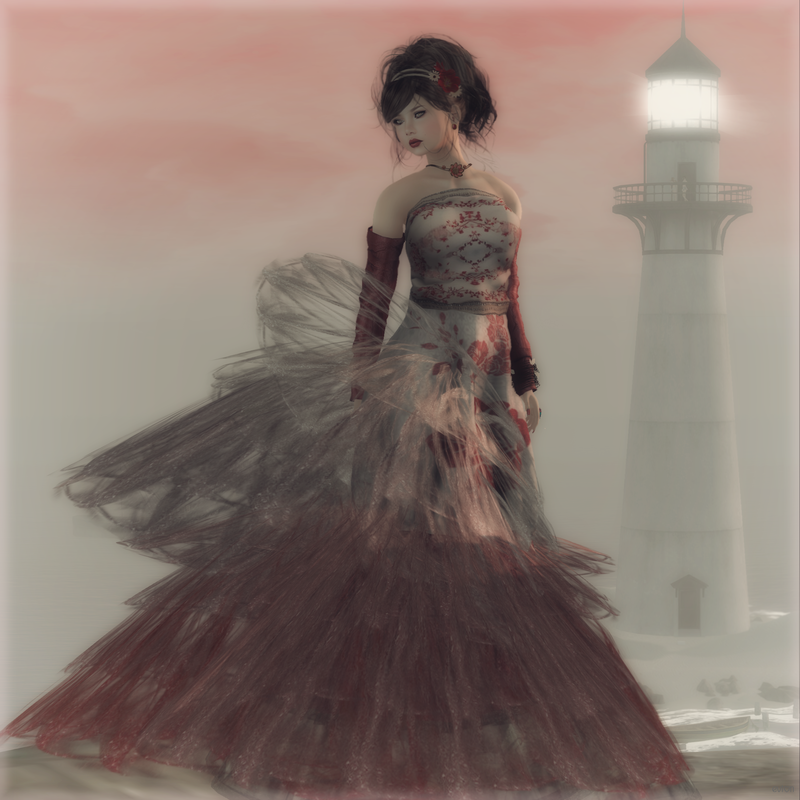 LeeZu has this brand new magnificently made Rigged Mesh/Flexi Tatum Gown………..and omg this is the most beautiful gown……..as I sashayed around the grid looking for a fabulous place to take these photos, I had about ten compliments on this gown……..from both women and men. This is a must have……..the gorgeous rigged mesh hugs you just so beautifully while the flexi softly dances around you at the same time…..love Love LOVE! I chose the amazing new Cleo Skin from Glam Affair with matching lips and of course the ever fabulous new Destiny Eyes in Oak from Ikon, I wanted a soft look so I went with an older style from D!va, Flora has lovely loose locks with a texture change headband/flower combo. I added some of my favorite jewels and a pretty little Beauty Mark from [PXL] and then found my way to this lovely little spot Baja Norte. I love the new Hand, Foot & Nail Appliers. Since I sometimes I take shots from farther away or they are full body shots I always love to include a close up of my Mani’s and Pedi’s. Flair has me hooked, line and sinker. Sasy Scarborough from Sasypants is always busy making up new designs and it would be a shame not to see the perfect mani or pedi I am wearing from a shot farther away…and also since I consider nails to be as important as hair these days……..but who doesn’t want pretty nails though? Posted in AnotherDamnSlBlog, iheartslFeed and tagged as Amorous, Baja Norte, Diesel Works, DivaHair, Flair, Glam Affair, Ikon, Izzies, Leezu, mala, Mons, SLink, TheBoutique, [PXL].